The woman accusing Democratic National Committee deputy chair and Minnesota attorney general candidate Keith Ellison said she has been "smeared" by the Democratic party. Karen Monahan, Ellison’s ex-girlfriend, was asked on Twitter how Democrats have treated her versus Supreme Court nominee Brett Kavanaugh’s accuser, Christine Blasey Ford. She said she has faced threats and isolation from members of her own party, despite her evidence against Ellison. "I've been smeared, threatened, isolated from my own party. I provided medical records from 2017, stating on two different Dr. Visits, I told them about the abuse and who did it," she wrote on Twitter. "My therapist released records stating I have been dealing and healing from the abuse." 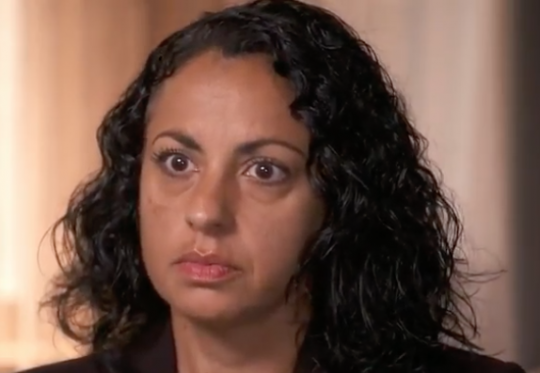 "Four people, including my supervisor at the time, stated that I came to them after and shared the exact story I shared publicly, I shared multiple text between me and Keith, where I discuss the abuse with him and much more," she added. "I knew I wouldn't be believed." "I didn't break my silence for validation or any outcome," she concluded. "I did it for my own internal freedom and to stand w/ other survivors. I have nothing to prove to anyone, I simply shared my story." I didn't break my silence for validation or any outcome. I did it for my own internal freedom and to stand w/ other survivors. I have nothing to prove to anyone, I simply shared my story. People can believe it or not. I don't need anyone to affirm my humanity, I affirmed it. Monahan accused Ellison of hurling insults at her and dragging her out of bed. She claimed the incident occurred in 2016 after Ellison told her to take out the trash. Ellison has denied the allegations. "Karen and I were in a long-term relationship which ended in 2016, and I still care deeply for her well-being," Ellison said. "This video does not exist because I have never behaved in this way, and any characterization otherwise is false." Despite the accusations, Ellison won the Democratic primary for Minnesota attorney general. This entry was posted in Politics and tagged Brett Kavanaugh, Keith Ellison, Minnesota. Bookmark the permalink.